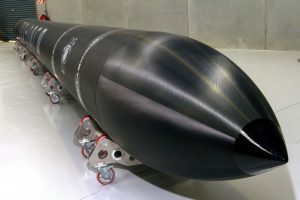 US regulatory authorities have cleared Rocket Lab’s New Zealand facility to launch US space payloads. The Los Angeles-based company has built its first launch pad on the island’s Mahia Peninsula in an effort to find a more cost-effective way for a small company to compete with giants like SpaceX. Indeed, Rocket Lab founder and CEO Peter Beck—who is originally from New Zealand—remarks that the licensing requirements and operating conditions of the island are commercially advantageous (compared to, for example, the company’s home city of LA, California). And Beck’s price target for his “Electron” rocket was around $5 million, a price for the sun-synchronous orbit project favorably comparable to other—bigger–launch providers. To keep costs for accessing space lower, the Electron rocket takes advantage of many new technologies that many would probably consider experimental in the space exploration business. This includes things like carbon-composite construction of the rocket core and 3D printing for most of the Rutherford rocket engine parts. It is quite important to remember that the Electron rocket carries only small payloads: about 150 kg (roughly 330 pounds). It is also unique in that it has a carbon fiber and runs on an electric engine.